As the leading Integrated Facilities Management company in the UAE, it is incumbent upon Imdaad to not only follow best practice, but to define it. We do this by making sure that our staff have clearly communicated processes to follow, which in turn allows them to deliver a consistently excellent and safe service to our customers and to lead the industry. As an illustration, we conducted 120+ employee training activities in 2018, including a number of Environmental Health Safety and Quality (EHSQ) related ones. 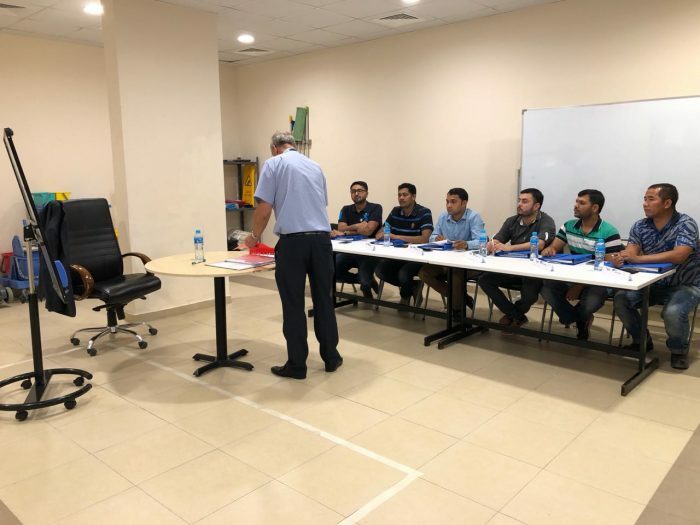 Moreover, every single employee had at least one mandatory training session during the year, with an average of 8.86 hours of EHSQ training per capita. We offer both soft skills and functional on the job training, continuously checking to make sure that employee training is being applied. This resulted in Quality Assurance and Quality Control inspections being conducted on 77 sites. Moreover, our cleaning trainers are certified by BICS (British Institute of Cleaning Science). BICS is recognised as setting global cleaning standards, with a variety of vocational courses and training programs that are put together and delivered by industry experts. 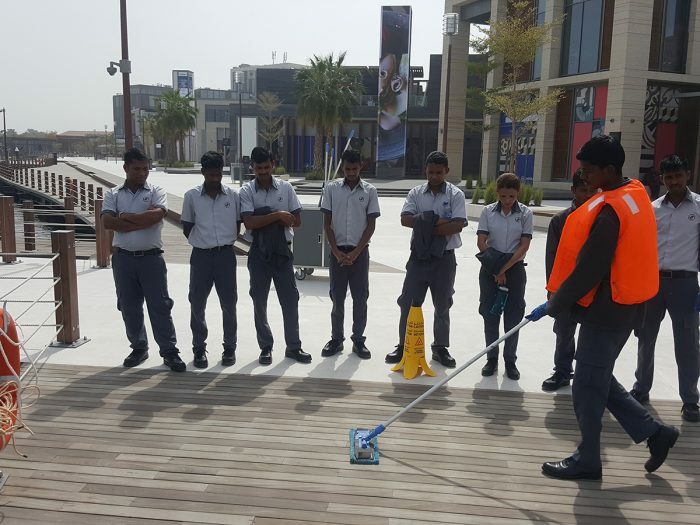 Undergoing these training programs empowers our trainers to ensure that our cleaners operate in an effective and safe way, guaranteeing excellent results for our clients.